Two weeks ago, Canadians responded in horror to a disturbing news story in Toronto: before a bank of cameras, a tearful 11-year-old girl said that a man had repeatedly cut her headscarf with scissors as she walked to school. 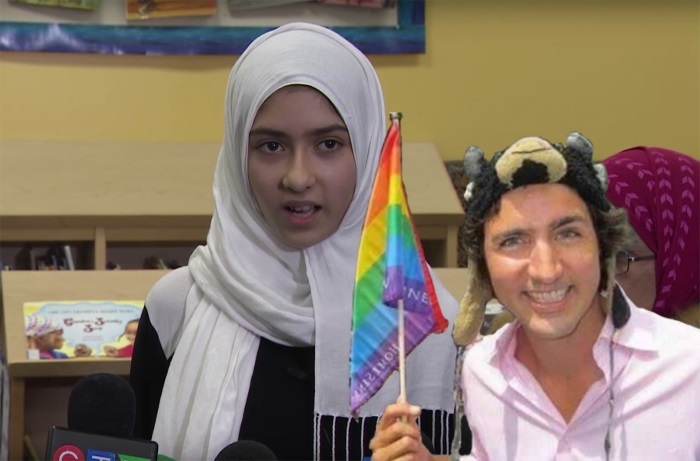 Khawlah Noman, a student at Pauline Johnson Junior Public School, told the roomful of reporters that the brazen attack had left her terrified and screaming. She was flanked by her grandmother, mother, and younger brother Mohammad. Mohammad confirmed his sister’s story, stating that he had witnessed the attack while walking with her to school. Soon after, politicians at the upper echelons of the Canadian government rushed to express outrage at the incident, even though details remained scant.